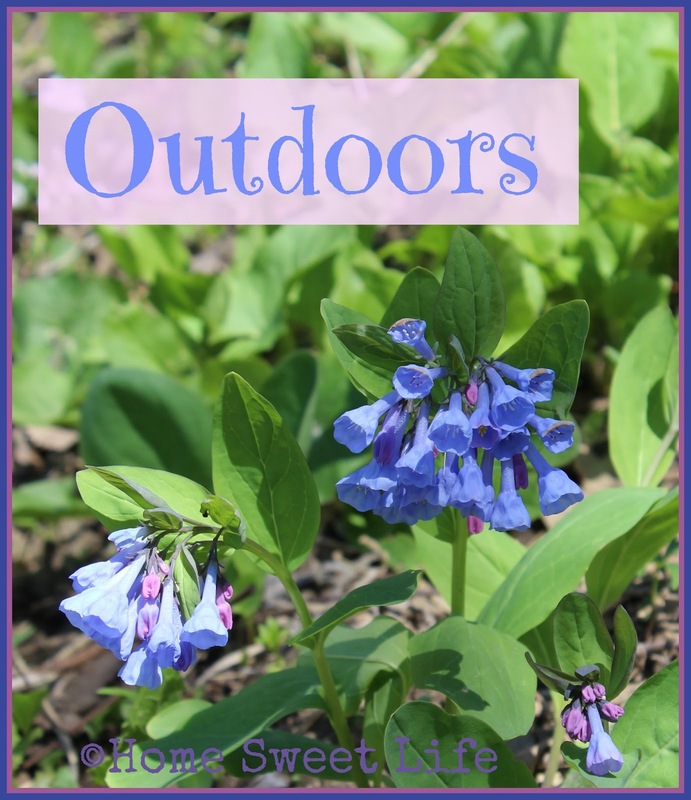 When was the last time you took your children outdoors? Not just on the way to the to the car to go to the store or to church, but OUTDOORS!?! Our families need to spend time out of doors, out in nature, out in God's creation. 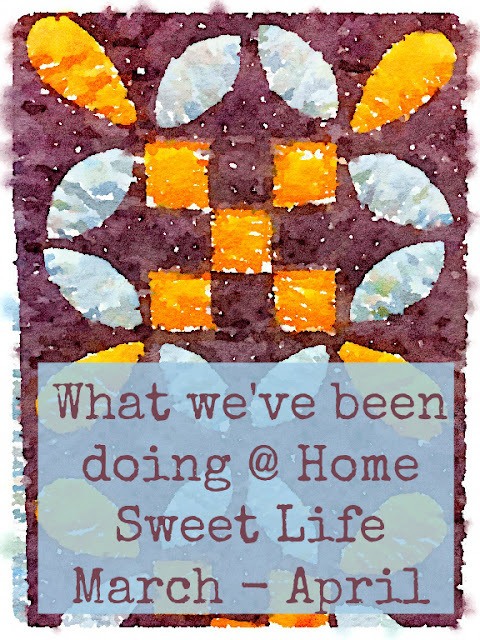 We weeded part of the strawberry patch, we mowed the yard, we enjoyed time on the porch swing, and we watched the clouds roll in before the thunderstorms arrived. Make it a point to get outdoors everyday with your children. Go on a walk, weed the flowerbeds, draw with sidewalk chalk, pick up trash...whatever you do, spend some time out in God's creation. Go outdoors, and enjoy it! Linking up with these wonderful ladies for more blogging through the alphabet fun! can we do more, should we be more, can we get more____? ...and then there are the words that Jesus whispers into our hearts "I am enough." 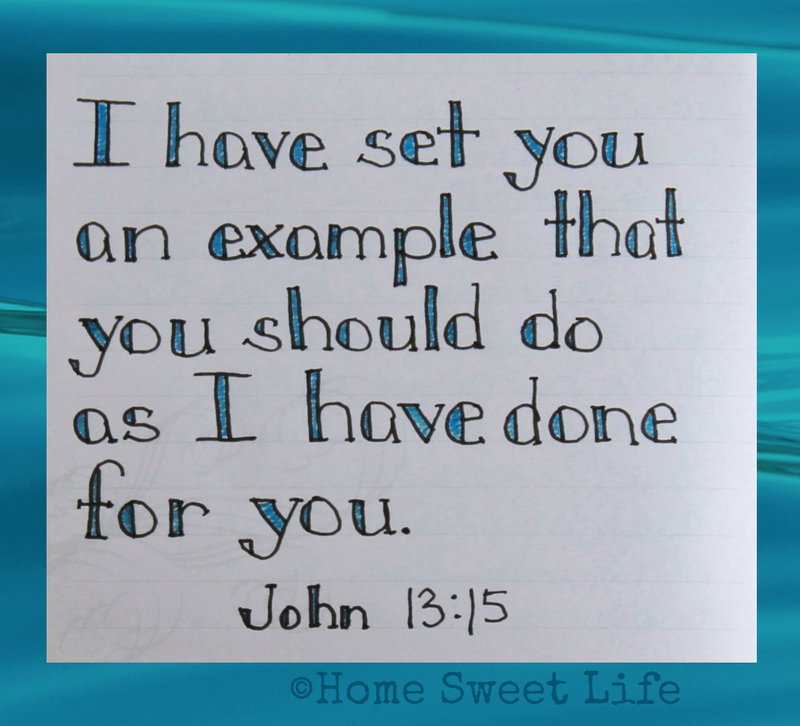 Instead of wanting more things, do we want more of Jesus? Do we want more time spent reading and studying His Word? Do we want more of the Holy Spirit convicting and directing our hearts? Do we want more of the peace that comes from our heavenly Father? I'm going to ask God to give me more of Him. 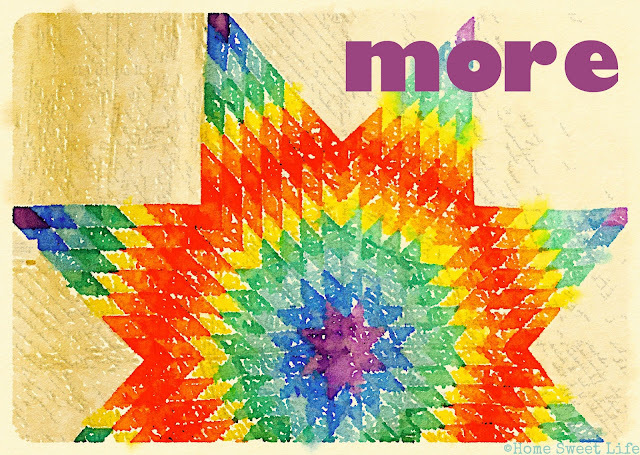 More peace, more love, more Jesus! We see the up and downs of civilizations. We see the influence of faith. We see the desire for revenge. We see the allure of alliances. Wafting in and out on the shoulders of our kin. The snort of laughter of Papa Bill. Genetics play their way through the bodies we carry. Carefully, creatively made, reminding us of where we've been. A new generation hears the call of God. What history do you see today? Do you see your role? On the shoulders of those who follow behind? 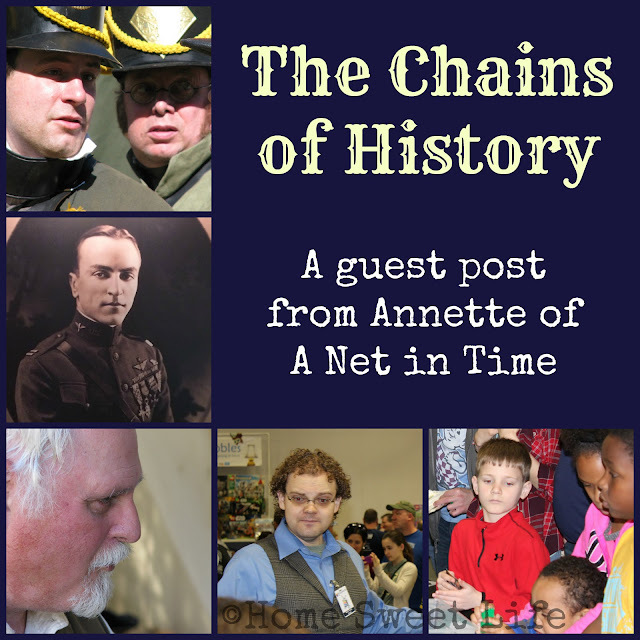 All links in a chain that bind that generations together. So take your part in the history. Copyright Annette V., April 7, 2017. 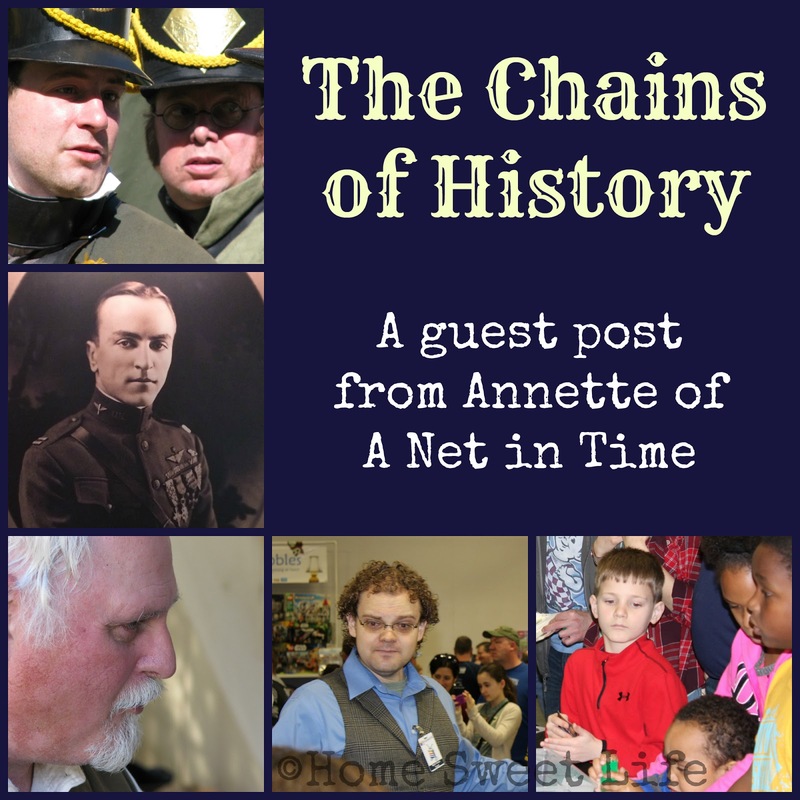 Annette blogs at A Net in Time when she’s not out caring for critters, teaching her lad, loving her hubby, reading books or enjoying the great outdoors. Would you like to learn more about the life of Jesus Christ, view the amazing land where He lived, and hear about the historical evidence for the Gospel accounts without needing to get a passport or fly internationally? 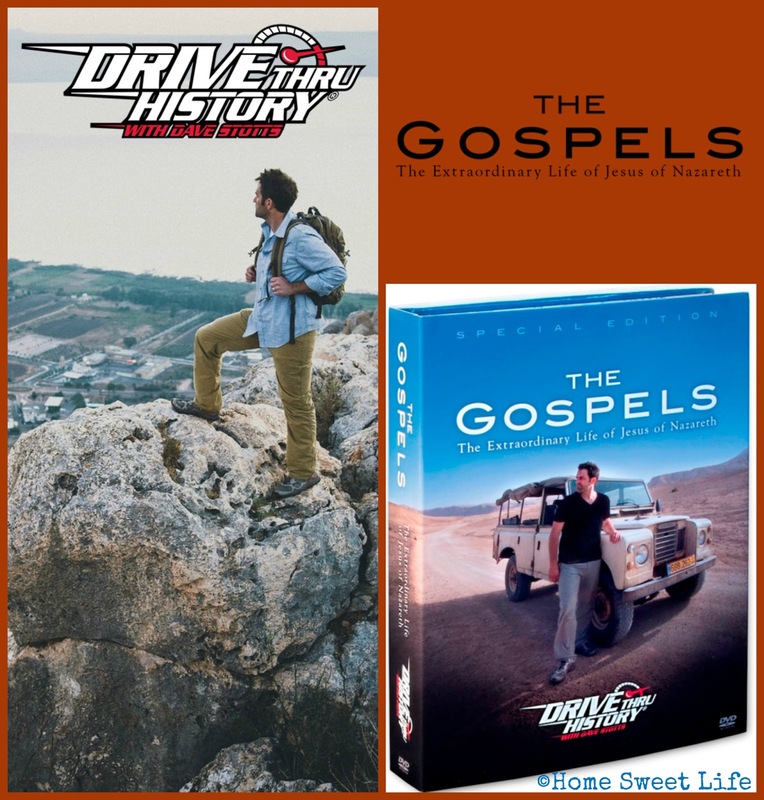 Now you can do all of that and more with Dave Stotts in Drive Through History® - "The Gospels." Many families may be familiar with Drive Thru History® from their earlier series: Holy Land, American History or Ancient History. This newest series "The Gospels" is truly AMAZING! At one point Arlene (16) turned to me and said "Mom, this is my favorite review we have ever done! Ever!" Considering we've done around 150 reviews in the past six years - that is high praise! The whole family has been enjoying this series that includes 3 DVDs and almost nine hours of video over 18 episodes. Kurt and Emily (18) have often watched the episodes with us, and the frequent call is for "one more!" While the video component alone is terrific, I first want to tell you about the additional material that comes in the set. The DVDs come packaged in a blue book-shaped case inside the sleeve that depicts scenes from the series. Inside that blue book cover you will find the 3 DVDs plus an attached 118 page study guide. The endpapers of the case are maps pf Israel. The study guide includes photos from the videos, brief summaries of each episode, historical quotes, five discussion questions about each episode, a Side Road section that covers some aspect of history, either from within the Scripture or the local area covered in that episode, as well as recommended Bible readings that vary from one to five chapters corresponding to each episode. The discussion questions make this an ideal resource to use for families, Sunday School classes or other study groups as they dig deeper into what is covered in each episode and the lasting effects of this extraordinary life of Jesus of Nazareth. Dave Stotts, the narrator and host of the videos is witty and fun to watch, as he roams all over Israel in his borrowed "Holy Land Rover" that looks like it was found in the very back row of a suspicious used-car lot. Dave guides the viewers throughout the history of Jesus' life, being entertaining, but also serious when needed. Have I mentioned yet how much we all enjoyed this series? By the time we were on the third episode Kurt was already online looking at the other series from Drive Thru History® and seeing where they were available. We found several of the other series' episodes are available with our SchoolhouseTeachers membership. We will be watching more of them! Back to the video episodes. The filmography is stellar, but the first thing (besides the top-notch content) to strike my eye was the graphics! We have watched so many documentaries and been to so many museums over the years and I wish they had had this graphics team working for them! The graphics always highlighted the scenes, without being overpowering. Not an easy task! There is also an option for English subtitles for the hearing impaired. Since we did not need the subtitles, we usually turned them off to better see the entire video and graphics. Whoever figured out how to animate the stained glass windows and antique paintings deserves a nod as well. Truly amazing! I was blown away by how high-quality this presentation was overall. When Dave is standing on top of one of the hills outside of Jerusalem, or in other parts of Israel, you can sometimes hear the wind blowing in his microphone. Far from taking away from the presentation - it adds a depth of clarity to your thinking. You understand just how powerful the storms might be on the Sea of Galilee. As Dave presents the Scriptural and historical evidence for the life of Jesus of Nazareth, the viewer is compelled to compare their thinking to the truths presented. When he visits areas that have been recognized as historically significant, Dave is sure to give you the timeline of when it was recognized as a significant site, who recognized it (early church,Catholics, Protestants, Jewish historians, etc.,) and tell you if there is recent archaeological evidence that either supports the claim or adjusts the location to elsewhere. It is shockingly thorough and honest. Episode 16 is the only one with a Parental warning. It is the episode focused upon Jesus' crucifixion and shows some rather graphic scenes. Each episode is a mix of Dave traveling to the location and modern-day shots, historic paintings and other art - like stained glass windows, and reenactment scenes that portray the people and lifestyles of the time. The crucifixion reenactment scenes are not nearly as gory as the real thing was, but you will want to pre-watch them before showing it to your children under 12. It might be that you want to fast-forward through specific parts, or even just read the study guide and skip that video episode if you have young children who are participating. I felt like this review came at just the right time for Arlene and I. We have been watching several episodes each week and were most of the way through the series before Easter. It helped remind us of the historic evidences that are all around the Holy Land, and yet, that our faith must always be rooted foremost in the Scriptures and Christ! I have always wondered what it looked like to see the remains of the wailing wall up close, to go to the Palestinian controlled area of the West Bank and see behind the walls into Bethlehem or Jericho. Dave Stotts takes the viewers to places that we might never get a chance to see, because as one person, he covers so much of the area in this series, while many tours of Israel only go to the tourist spots. I was amazed when he stood on the Roman road, or climbed down into the ruins of an ancient church. I felt like I was really there. Artistically, this series shows both the arid land, with the rocks and low shrubbery, as well as the fertile ground filled with olive trees, and pastures filled with sheep grazing. The flowers of the field? Yup, those too, in the groves under the olive trees. He shows fishermen along the see of Galilee, and even gets in a boat and rows partway across the water, also known as Lake Tiberius, just to show how vast it is in comparison to our thinking from those small maps in the back of our Bibles. As Israel's largest freshwater lake at 13 miles long, it is more vast than I ever imagined. No wonder it took the disciples so long to row across it when they were fighting the wind! The visual images from these episodes filled my mind as I was reading through my Bible in the Gospel of John over the past two weeks. Even after so many times of reading the words, I felt like I had a better understanding of the depth of the meaning because I had these new images of the locations in my memory. What more can I say? You really need to get yourself a copy of this amazing resource! It is available on the Drive Thru History website for $89.95, but it is worth far more than that amount. This is one we will watch over and over again! Thank you Dave Stotts and the whole Drive Thru History® team for producing such a thought-provoking, in-depth resource. You have presented the Gospel message and the life of Jesus of Nazareth with grace and truth! And now, your favorite part: Arlene's review! 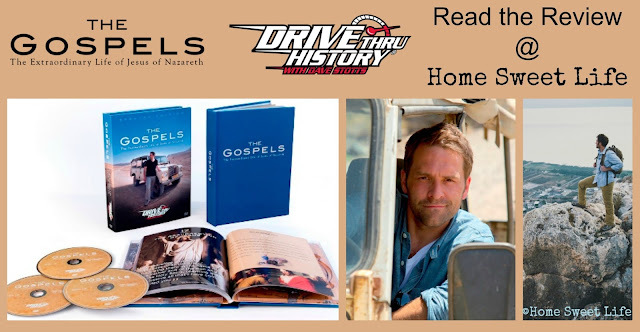 I liked Drive Thru History® - “The Gospels” better then anything we have reviewed before! And that's saying something because we have reviewed a lot of great products over the years. I think one of the reason I liked it so much is I love science and history tv shows where the host goes deep in the jungle to look for ruins and learn about the people who used to live there or the shows where they look for amazing animals. This was the same sort of thing only better because I never had to worry about them using a timeline of millions of years since I don't believe in millions of years. One of the things I always wonder when I watch something that is for homeschoolers or is not made by a big movie/tv show company is will it be the same quality both in subject and in video quality? I will say that Drive Thru History® - “The Gospels” definitely was! It was the same amazing video quality as any other history tv show you will find from a big company. The subject was, of course, one that as a Christian I have always wanted to know more about. It wasn't a boring documentary, or just a show about looking at old ruins (of which I have seen some of and they could never hold my attention). 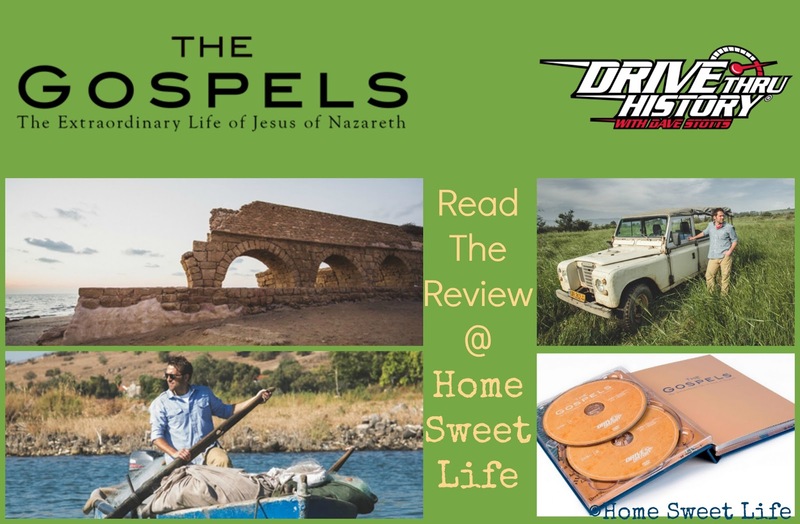 Drive Thru History® - “The Gospels” was an amazing show talking about the life of Jesus, showing where He lived and telling the story about how He grew up and His ministry. And not just telling about Him as just some other old historical figure but as the amazing Son of God and Savior of the world that He is. Throughout the 18 episodes Dave Stotts shows - using not just the Bible but other historical documents and records from the time - just how amazing Jesus was while here on earth. He goes through Jesus' life chronologically, some episodes cover a long period of time others just a few days. He travels - sometimes going to different places more then once as he follows Jesus' path from birth to resurrection - to amazing places from the shores of the Sea of Galilee to many amazing buildings built where tradition hold that certain events of the gospels happened. Over all it was an amazing show and I can't wait to see more shows from Drive Thru History®. Wow, what a couple of full months we have been living! Remember when Christ said that we may have life, and have it to the full? (John 10:10) Was this what He was talking about? There have been so many blessings, and a couple of challenges along the way that I just wanted to sit for a minute and share what's on my heart. Mama, God has this thing called life all figured out! Stop stressing out if you don't understand how it is all supposed to work because He has a plan for you to follow. Just ask Him what it is! Could I have imagined all the things that have happened therapist few weeks? Maybe, but probably not. 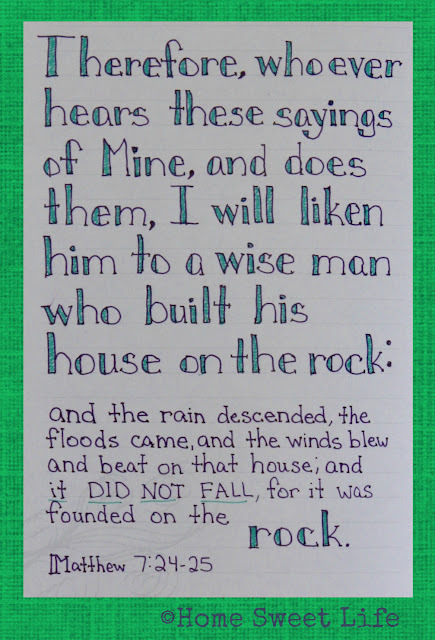 I think He lets us set a few plans just so He can blow us out of the water by how He fulfills them! March started off with Arlene attending the annual meeting go the local fiber arts group, SWIFT. They are the lovely ladies who have encouraged her on her way to better spinning and weaving. Her fiber arts mentor Sue is a big part of the group and has invited Arlene along the past few years. They are all looking forward to the Midwest Weavers Conference in June. The next week we had a 4-H meeting, lunch with dear friends, and went on a tour of a maple syrup farm. They had the same issue we did, that Spring came so early that the maple tapping season was shorter this year. Still, we learned a lot more than were previously knew about how commercial operations work, and we found a lovely, not too far away location to purchase additional syrup from. The third week of March I'm still wondering how Arlene got any of her coursework done as it seems we were always on the go. A legislative meeting, an awards party at Conner Prairie, 4-H Ag Days, and a trip to her friend Susan's fiber shop. 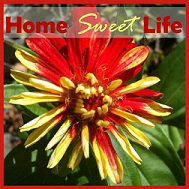 Life seems to be like that these days, every other week goes from slightly busy to a whirlwind! Good thing Arlene is good at making dinner so I don't always have to be home from work in time to make it. Later in March Arlene spent a day at the Indiana Association of Home Educators' convention helping Susan Marlow with her Circle C Ranch booth. Mrs. Marlow os one of those gems that I am glad has come into Arlene's life for the good influences, and the fun! Training for the opening of the outdoor season at Conner Prairie finished off Arlene's month and I think somewhere in there I even slept-LOL! April seems to be shaping up as just as much of an adventure as last month was. Kurt and I had a volunteer training at Conner Prairie while Arlene worked out on the grounds. The next week Arlene spent a day as a page for our State Representative at the Statehouse on Indianapolis. That was followed by a 4-H meeting and a family trip to Eagle Creek park for birdwatching. This was also the week that Spring arrived in full force. Later in April we attended another Legislative meeting, had friends over to visit, attended a Strawberry Social and went to Fiber Fest in Greencastle. A whole day of wool, yarn, and fun! Another fun blessing for April? I got an email from Panera that I had been selected to receive a free bagel every day this month. Um- yes! So we've been planning out routes to events around a stop at nearby Panera stores. Easter arrived, and I was so thankful that we had been watching the Drive Thru History® - 'The Gospels" series as I felt like even through the midst of our full life that my heart was prepared to celebrate Christ's redemptive work on the cross. Since then? Arlene went to the dentist, Emily registered for her college classes for fall, and we had our bathroom redone. Whew! Schoolwork wise? Lots of it! Arlene is doing a variety of project through Art Achieve, we've been reading quite a few books, including the newest release form Lamplighter, and she is working away in her math and biology. Sometimes Spring can be challenging when the warm weather calls us outside, so we try to focus on getting the basics done early and enjoying the afternoons in the fresh air as often as possible. Besides all of this? I'm trying to learn to touch-type. It is a skill I've known I need for a while, but have finally set aside some time to work on learning. I'm finding it difficult, partially because I'm older and memorization take longer, and partially because I have such long fingers. If you're ever seen my fingers, you'll know what I'm talking about. It is difficult to hold them curved at the correct angle so that I can reach all the keys at the same time. But I plan to persevere! I guess I'm a glutton for difficulty because I've just started reviewing First Form Latin form Memoria Press. I tried to learn some basic Latin a few years ago when the girls were in a Classical Conversations class, but it started too fast and too in-dpeth for me to retain it. I want to learn some Latin to help my brain pick out derivatives, and to challenge myself to form some new mental pathways. I may never get far, but I am going to work at it. What have I learned form all of this? God is bigger than any struggles we may face. He uses those trials to prove to us how true the faith He has given us is. 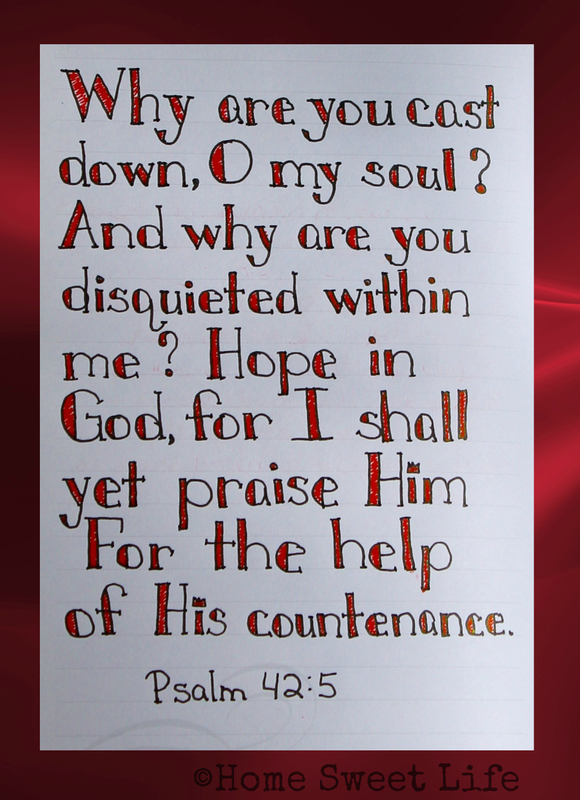 He proves Himself faithful. And He proves that He loves us by all the wonderful opportunities He gives us for joy and fellowship! If we are lacking in joy, it is because we are not taking the joy He offers and making it our own. If we are lacking in fellowship it is because we are not willing to set aside our selfish desires to see what He has planned for the Body of Christ. I would much rather live a joyful, God-Centered life than a sorrowful world-centered one! Take time today to recognize the blessings God has bestowed upon you this past month. 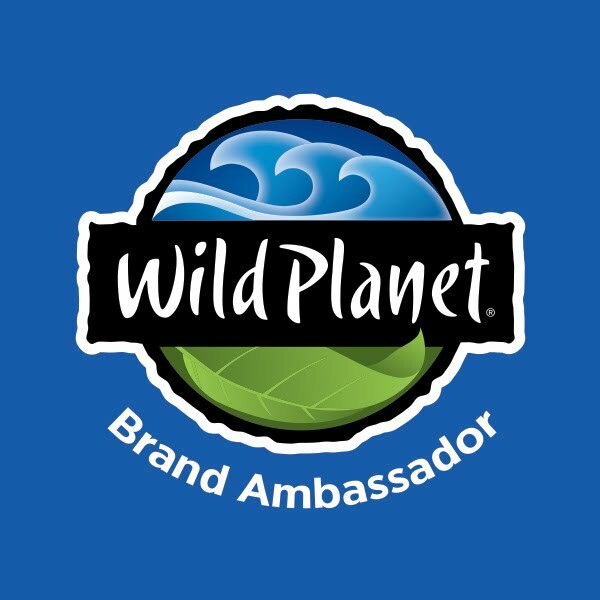 Ask Him for direction for your future, and hang on for the wild adventure! Growing up, my family and I put together more jigsaw puzzles than you could count. While I still like the challenging fun of putting a puzzle together piece by piece, I rarely have time to clean off the table and get out one of the 500 piece boxes, much less a bigger one. 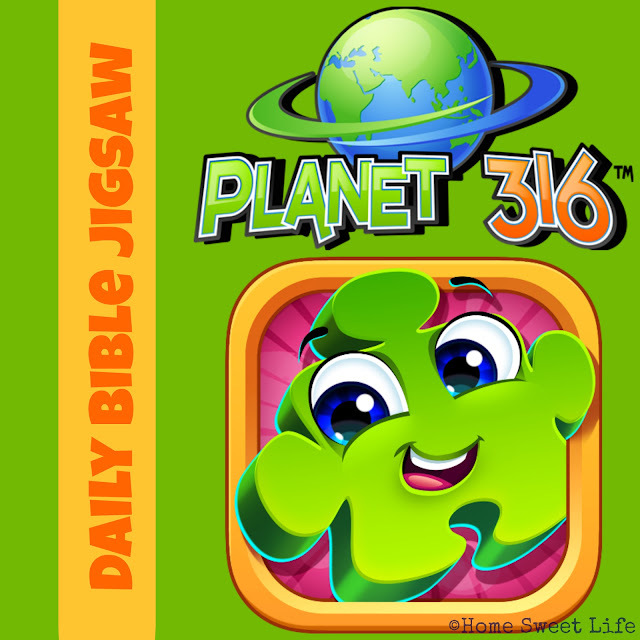 Then along came an answer in the form of an unusual review: Daily Bible Jigsaw from Planet 316. Daily Bible Jigsaw has now become my go-to when I want a little puzzle challenge, but don't have a lot of time. Daily Bible Jigsaw is a free jigsaw puzzleapp for iOS devices (Apple) or on Googleplay (Android.) You can also play it in your browser while on Facebook. Because Arlene and I both wanted to try it out, I installed it on her iPad Mini and we shared an account. The app is free, but you can get and spend 'coins' to use the tools to help you solve the puzzles more quickly. The special tools are: rotate, sweep, magnet, and edges. These tools will cost you between 1 and 2 coins each time you use them. Some of the Crew reviewers have been playing Daily Bible Jigsaw on Facebook so they could earn extra coins and compete in the rankings with their friends. We did not use it on Facebook. If you would like to learn more about how that works, click the banner at the bottom of the page and read some of the other reviews. 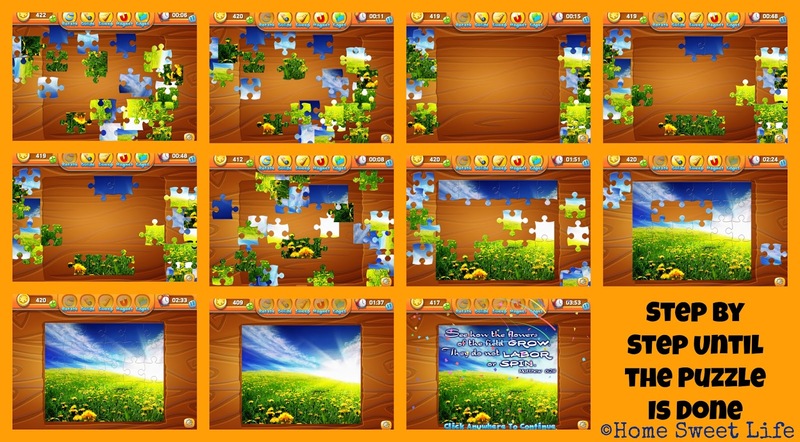 For us, we found the daily puzzles a great way to have fun while relaxing. Each puzzle has 30 pieces - six wide by five high. The tool that I used the most was rotate. For two coins, this turns all of the pieces the correct way up, which saved about four minutes off of my time of needing to rotate them, some of which I had trouble figuring out when to stop rotating - LOL! There is a Guide button at the top of the page that can show you the full picture to give you hints. I usually tried to do the puzzles without looking at the picture unless I got stuck. After all, I was not competing with anyone else, and it was only 30 pieces, not 1000! Some of the pictures are cute, some more serious, especially several of the ones during the two weeks leading up to Easter. When you have completed the puzzle, the screen gets shot with confetti and a Bible verse is overlaid on the picture. Arlene has been playing almost every day since we got the app, and I've played it a couple days each week. We were gifted with some coins for the review period so we could try out all the bonus features right away. Arlene and I have been going back and playing past puzzles from before we downloaded the app. This usually requires you to spend coins, but occasionally there are free days. Once you have done the daily puzzle the first time, it fills in the corresponding spot on the calendar which gives you a monthly picture. See the top-right screen capture in the blue graphic above for last month's picture. 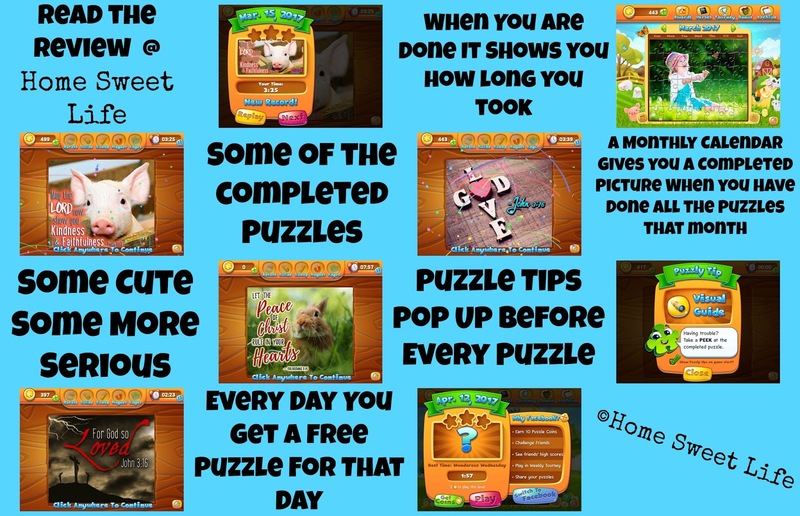 The other tools available for use include Edges, which hides the not-yet-connected pieces from the middle of the daily jigsaw puzzles until you have the edges put together. Then the middle pieces are revealed again so you can complete the puzzle. 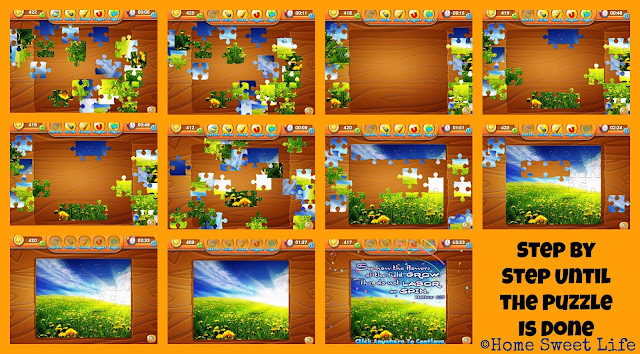 There is also a sweep tool which moves all the pieces off of the main part of the puzzle board. I tried the magnet tool a time or two, it connects two pieces together for you, but it did not significantly alter my playing time, so I mostly stuck with the rotate and edges tools. Overall we both had fun playing Daily Bible Jigsaw. There were only a couple of glitches in the app at the beginning of the review, and Planet 316's tech team had them quickly resolved. This is a fun app for all ages. Without using any tools or the visual guide to the picture, I could finish most of the puzzles in around seven minutes. By using the rotate and/ or edges tools I cut that down to two to three minutes for most of the puzzles. There are ways to earn coins, like getting the power piece in place in each puzzle before it stops glowing. Whether or not you will want to purchase additional coins to use will depend on whether you are looking to do the puzzle to relax, or to compete with your friends on Facebook. Either way, go try out the free app. I think you will be glad you did! 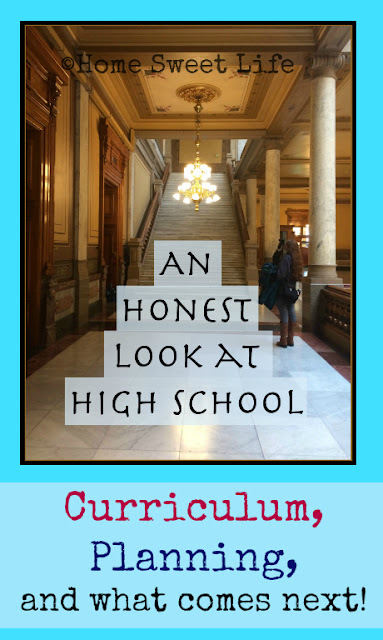 Do you still cringe at the thought of making a plan for high school coursework and a schedule for your student? You might want to start with reviewing some of our past posts... especially the one from this Monday about record keeping. I'll add in some other links to past posts about planning and unusual coursework as we go along today. One thing I really want to encourage you with is that your homeschool does NOT need to look like anyone else's homeschool! I have a lot of home educating friends, and I'm pretty sure that NONE of them educate like we do. No one minds though, because we are all choosing the methods and curriculum that work best for OUR children. Just because you're doing something differently does not mean it is wrong! For my friend who are very bookish (think Abeka or BJU Press) they might think we unschool... but we don't. For those who love Unit Studies, they might think we don't do enough hands-on projects. We do a lot of hands-on, but neither of our girls was a fan of Unit Studies - thus our experiential style of learning developed. So if you are stressing out about what others are thinking - stop, just STOP! They don't think about your teaching nearly as much as you think about what they think-LOL! 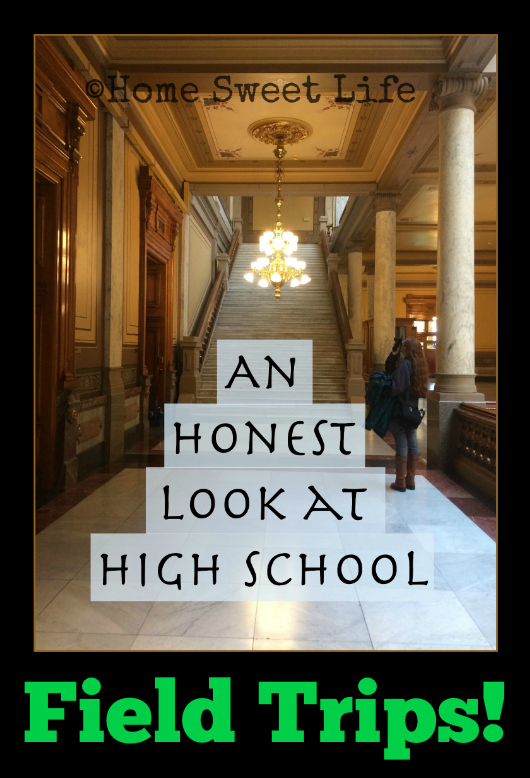 Planning for high school requires knowing your State's requirements, having some sort of an idea of what your child might want to do after high school, and knowing how hectic the rest of your life is for scheduling. I heartily encourage you to give them a college-prep variety of courses. If they want to attend college after graduation - they'll be ready, and if they don't - it won't hurt them any! 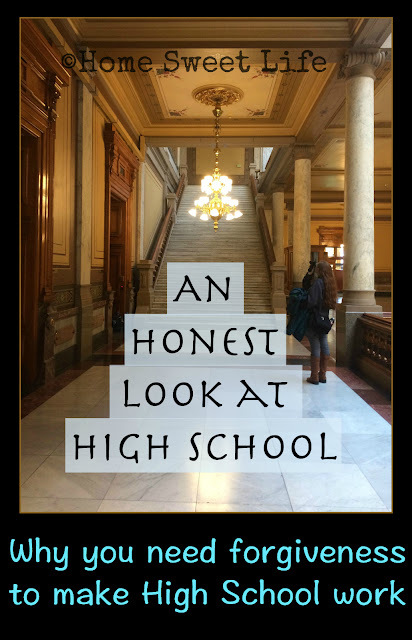 I would like to encourage you to check out some of our previous posts for more help on planning for High School. 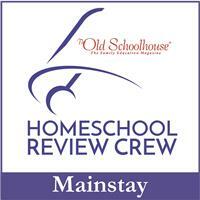 I also want to encourage you to read my guest posts on the Homeschool Review Crew's blog about Experience Based Learning and a quick bit of encouragement Homeschooling All the Way Through From here on our blog: Homeschooling When Life Happens, and How Will I Teach High School? Then there's this one about Language Arts and History. We love studying history! Arlene was just reading a YWAM book about Abraham Lincoln earlier this week and we're watching Drive Thru History ® - "The Gospels" which is all about history, Jesus's life, and the area around Israel. Both of those will have reviews coming up soon so stay tuned! High school can be so much fun! Put your worries to rest, and ask God for the direction that your children should take on this journey. Then enjoy the ride! 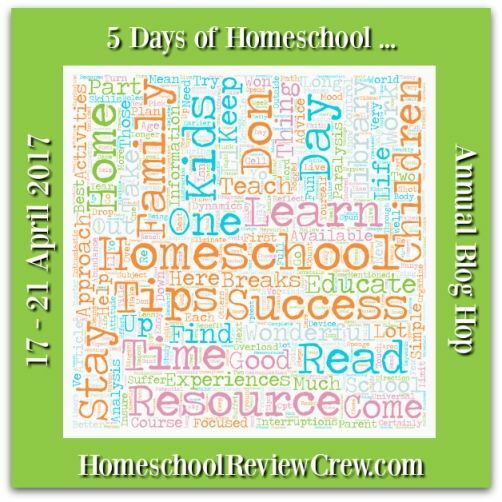 Click on the pictures below to see what everyone else is sharing about homeschooling today! Can I just start today off by saying how glad I am for forgiveness? So many time I have failed to do what I knew I should have done, and so many other times I didn't realize that what I was doing wasn't the best option for myself or my family. Yet, there was forgiveness offered, and accepted. Now take that feeling of freedom you feel after being forgiven and apply it to your high schoolers. They need forgiveness too! Just as I've made some less than stellar choices over the years, our girls have had their own struggles. When I realized that my high school aged children need forgiveness as much as they did when they were tiny, things started looking up. Education is a journey, not an event. To understand the difference, here is an example from life: a wedding is an event, a marriage is a journey. Our wedding lasted less than an hour, Kurt and I have been married almost 23 years. We have learned over the years how to offer forgiveness, and how to accept it from others. We did not learn all those lessons during the one hour ceremony, we learned them over many years of ups and downs. Your children are like that, they will learn over the years, and they'll need your help! High school can come with a lot of expectations. If our students fail to meet all of our expectations we need to evaluate why, and offer forgiveness when necessary. Did they fail because they were being lazy or disrespectful? Then you probably need some discipline to be applied and another round of the same lessons they were supposed to be doing. But, if they failed to meet your expectations because you chose a curriculum that conflicts with their learning style, and you were not around to help them through the tough spots... then you might need to ask their forgiveness. Did they fail because they didn't understand your directions or have good time management skills? Did they fail to meet your expectations because you never told them what you expected them to accomplish? Or maybe they failed because they have an underlying learning challenge that you didn't realize they struggled with? There are so many reasons why we, or our children, might need forgiveness that you need to be quick to offer it to them, and quick to accept it from them. No one lives a perfect life. No homeschool is perfect. We try our best, ask God for help, and adjust when needed. Sometimes that adjustment comes in the middle of the week when you realize you scheduled too many activities outside of the house and they won't ever be home to watch that science video. Sometimes we don't realize until they are nearing the end of a semester that they are not really understanding their math assignments. Choose to offer forgiveness when needed, and choose to work with your High Schoolers instead of against them! Most of the time they're not purposely trying to frustrate you, they just don't always see the world like you do, and they may interpret your vague answers differently than you thought you presented them. Try again - both of you! Forgiveness equals offering grace, unmerited favor. You know about grace right? 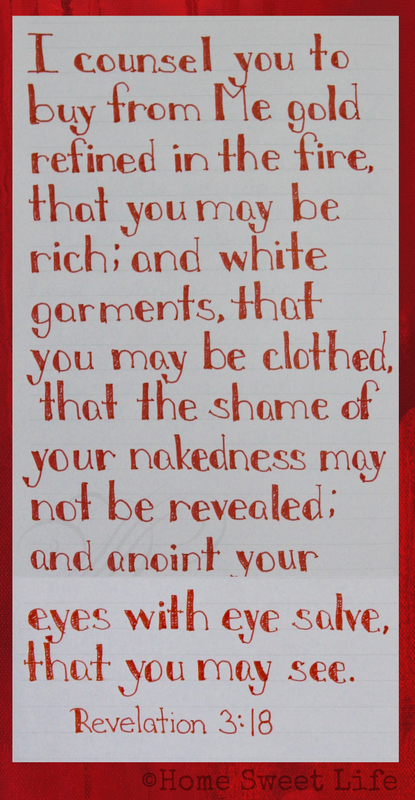 It is that thing Jesus Christ offers us to save us from ourselves and our sin?! That grace can be applied to your homeschool. It especially needs to be applied to the high school years! Every once in a while we get it right. Then those teenagers stop you to tell you that they respect your hard work, they thank you for giving them this opportunity to be educated at home, they might even tell you how happy they are that you're their parents! That makes it all worth it! Stop back by tomorrow for one last day in our 5 Day Blog Hop! Don't worry, there will be more posts about Homeschooling High School after this week is over. In fact, I have a lot of cool things to share with you over the next few weeks, most of which are great for High School. 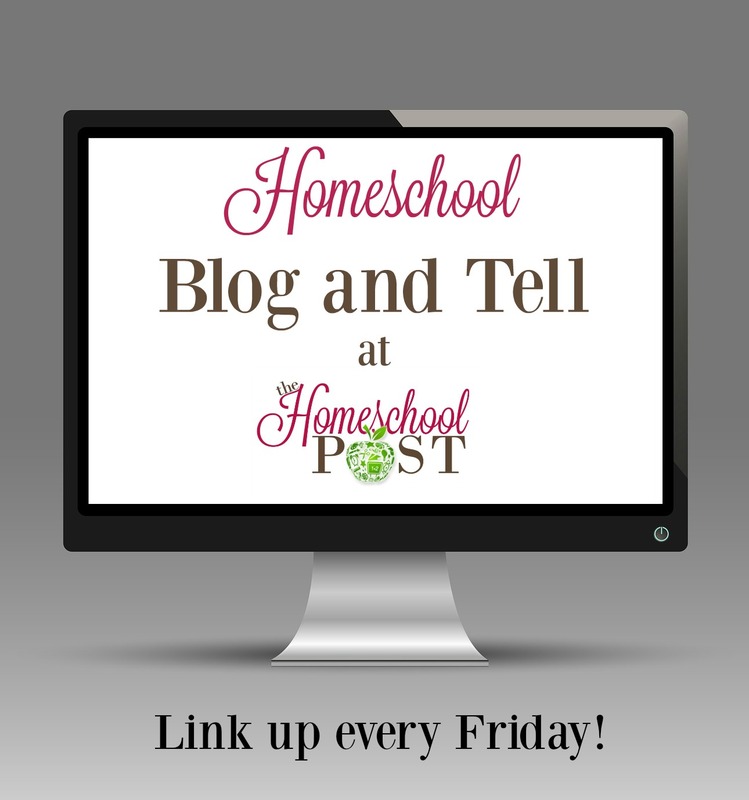 In the meantime, check out today's other posts about homeschooling by clicking the links below!